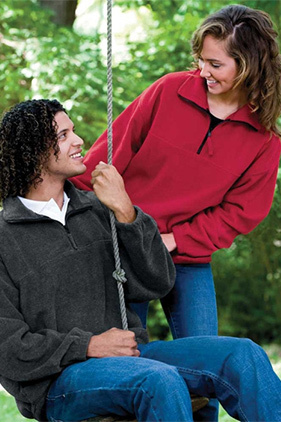 100% Poly Micro-Fleece. When you need a little protection from the elements but don't want a heavy coat, these durable 9.9 oz. outerwear alternatives feel weightless, yet warm and comfortable. Reinforced pockets and elastic cuffs.